Mumbai, Nov 9 (IANS) Amitabh Bachchan and Aamir Khan-starrer “Thugs Of Hindostan” surpassed Rs 50 crore on its opening day. A majority of critics gave it a thumbs down, but the team is humbled by the film’s box office numbers. The film minted Rs 52.25 crore net when it released on Thursday. According to a statement from its makers, Yash Raj Films, the film’s Hindi version amassed Rs 50.75 crore and Rs 1.50 crore came in from Tamil and Telugu dubs. 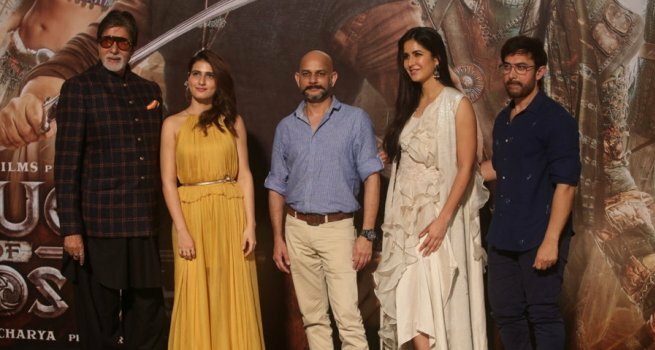 Director Vijay Krishna Acharya said: “‘Thugs of Hindostan’ is the quintessential Hindi movie that we love to watch with our friends and families. We were lucky to get two of the biggest stars of our generation to come together for an out-and-out masala Diwali entertainer and we are humbled and ecstatic with the love and appreciation that audiences have showered on ‘Thugs…’ to help the film create box office history on day one. The action-packed adventure is set on the high seas. On the contrary, trade experts did not give promising reviews to the movie. Film trade analyst Girish Johar told IANS that the feedback is mixed. “The feedback is neither good nor great as people were expecting huge and strong content from a deadly combo of Amitabh Bachchan sir, Aamir and YRF, so there’s a letdown in there certainly,” Johar said. 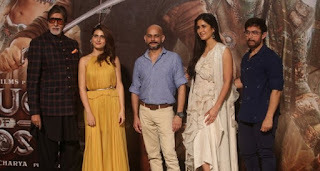 All in all, critics were not impressed by the “juvenile storytelling” of the film, which also stars Katrina Kaif and Fatima Sana Shaikh. The period film is fictional and created an expectation to offer a big canvas experience to the audience, with its trailer. He called the film “a golden opportunity lost” and “a king-sized disappointment”.